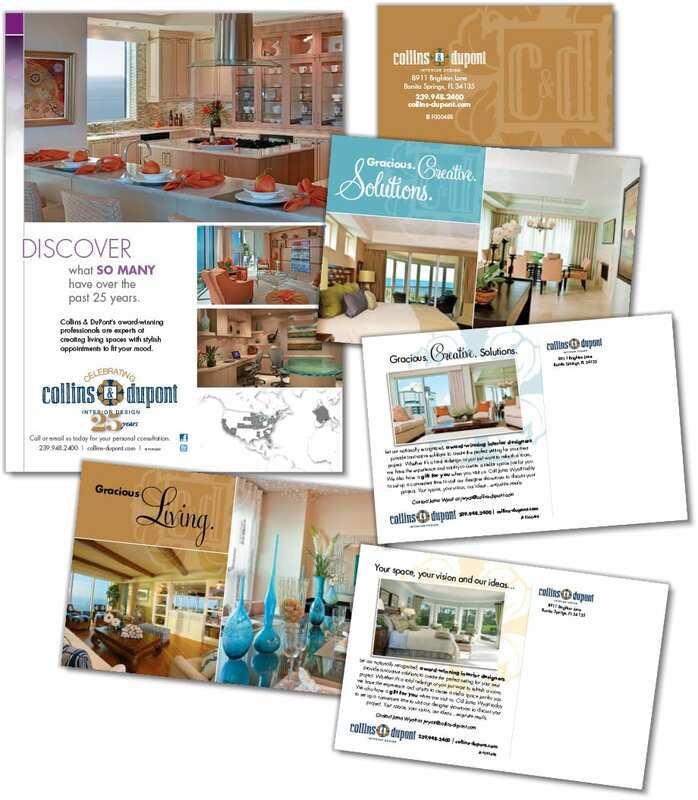 Collins & DuPont Design Group is an award-winning team of interior designers who create living spaces that truly reflect their clients’ lifestyle. 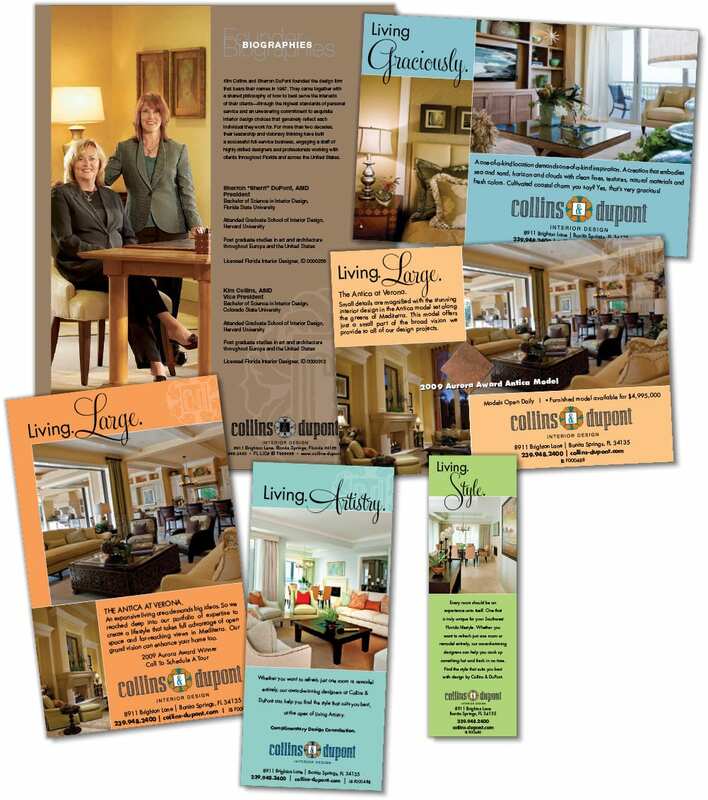 The Agency worked with Collins & DuPont for many years, creating and developing a number of marketing pieces including website, TV spots, print ads, sell sheets and other collateral, signage, direct mail, business letters, electronic newsletters and public relations services. We created several campaigns over that time, as well as a logo evolution and a new logo for their 25th anniversary.